There is no formal opportunity for public comment on the draft Plan at these meetings. We heard from you that Hollins could become an even better place to LEARN. WORK. DINE. PLAY. 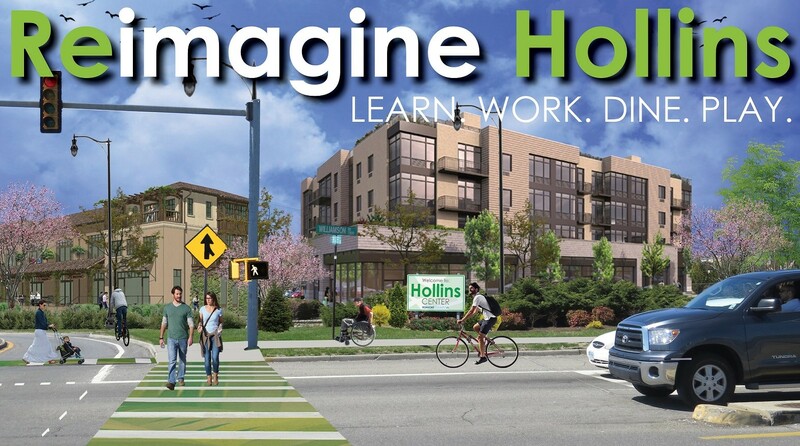 Reimagine Hollins is nearing completion after six community meetings involving over 300 members of the public, dozens of stakeholder interviews and hundreds of survey responses for the 20-year planning study. If you haven't done so yet, please complete the exercises from the Draft Plan Reveal by April 26. We will share the results in May. Survey results were revealed at the design open house meetings in May. The survey was open from February 1 through April 7 and received 393 responses. View photos from all the community meetings.